Novagard G641 Novagard G641 Designed for use as a heat transfer compound in both the electrical, and the electronic industries, Characterized by its high thermal conductivity, high dielectric constant, and high dissipation factor, G641 is an ideal material for use in thermocouple wells, power diodes, transistors, semi-conductors, ballasts among various other applications. 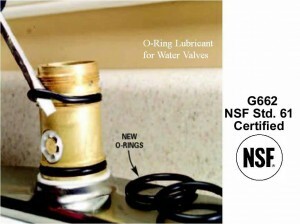 G641 exhibits excellent long-term storage stability, without the oil separation that is common to other brand names. 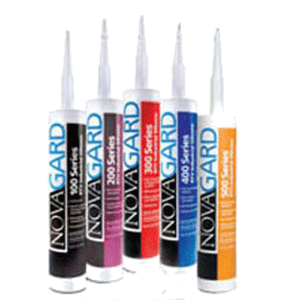 Novagard G644 Novagard G644 Designed for use as a heat transfer compound in both the electrical, and the electronic industries, Novagard G644 is similar to the original thermal compound, G641, only formulated to a higher penetration specification (softer). Characterized by its high thermal conductivity, high dielectric constant, and high dissipation factor, G644 is an ideal material for use in thermocouple wells, power diodes, transistors, semi-conductors, ballastsamong various other applications. G644 exhibits excellent long-term storage stability, without the oil seperation that is common to other brand names.